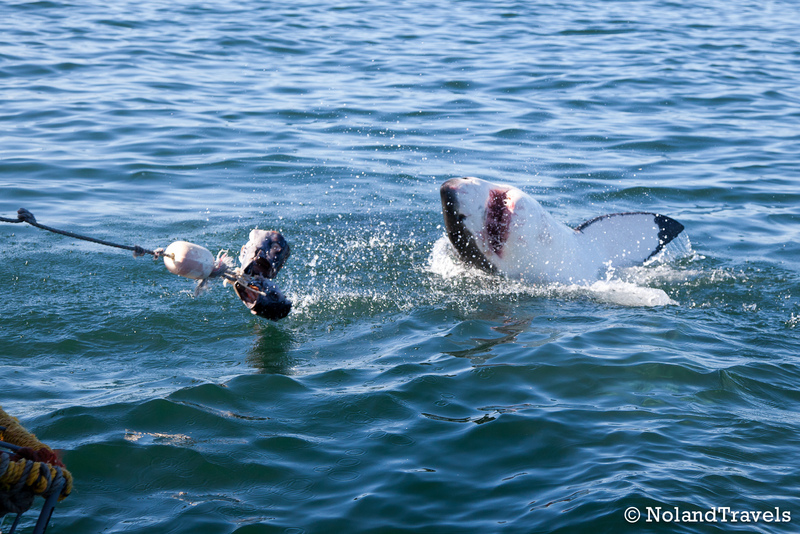 We are in South Africa, volunteering for an eco-tourism company, diving for white sharks. You'll be glad to know that both Steph and I survived our first cage dive with the sharks. Talk about a heart pounding few minutes coupled with sensory overload. It was AMAZING! The sharks are so big and just right there - an arms length away at times. They even hit the cage while chasing the bait! The photo is from the first dive. I think Steph might even be in the cage at the bottom left. The weather was great, sea calm, water cold but with poor visibility. We have been on a few trips now getting up to speed on things and will have lots more to post in the coming days. Keep your fingers crossed that the water clears up so we can get some good underwater shots. By the way - we know we are crazy! !